Adgooroo earlier this month has released a forecasted 2016 paid search retail sector expenditure trends report, based on the past two years worth of data. Keywords such as ‘black Friday’ have helped drive a 24% year on year increase in spend, as measured across 150,000 keywords. All of this contributed due to seasonality (the week of September 27, 2015 vs. the week of October 26 in 2014). 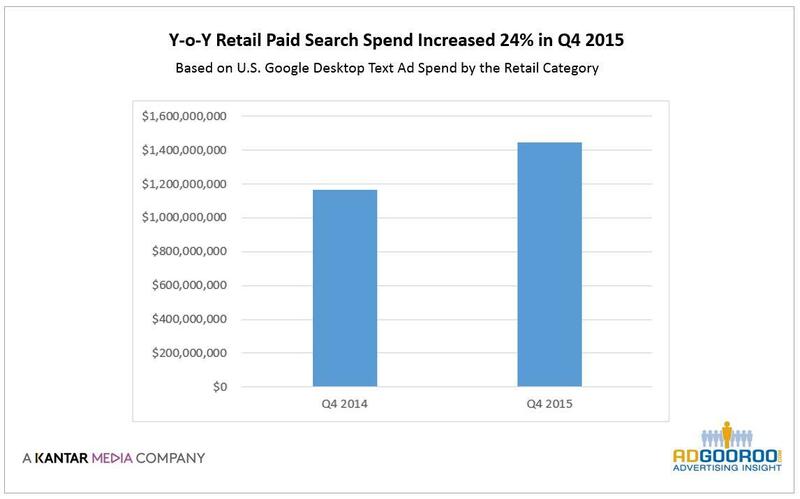 In terms of top retailers, Target, Wal-Mart, and JC Penney in aggregate spent more than $33 million in paid-search ads and another $9 million on product listing ads between October and December 2015. Also on that list of heavy spenders are Macy’s, Best Buy, Kohl’s, Sears, Zappos, Apple, and Nordstrom. Holiday orientated retail categories such as consumer electronics and apparel has experienced the most competition and clicks. As digital publishers, it is important to understand these key takeaways, during a period where budgets are a lot more restricted to campaign activity (with activity starting in advance of key events) and surprisingly outside of the top retailers.